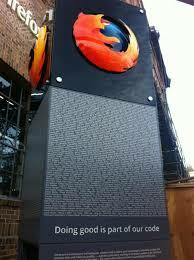 We held a celebration of all things Mozilla and in particular our new sign for our San Francisco office…our @Mozument. 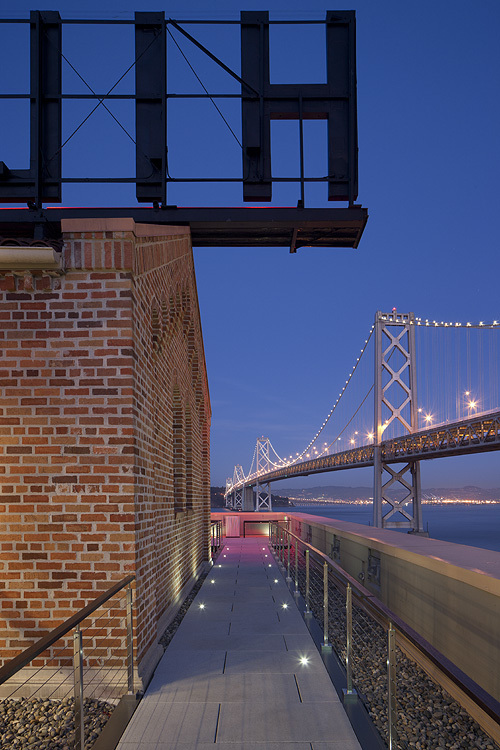 In preparation, we wrote a little blurb describing our San Francisco office for the press in attendance. Don’t miss the pics at the bottom! 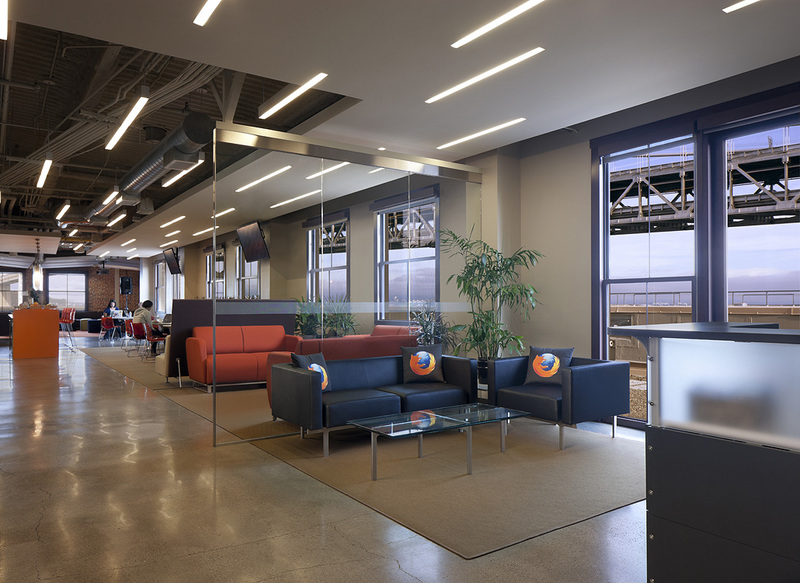 Mozilla’s office design embodies our approach to software – open source and collaborative, with a large portion of the office dedicated to serving our larger Mozilla community of volunteers. 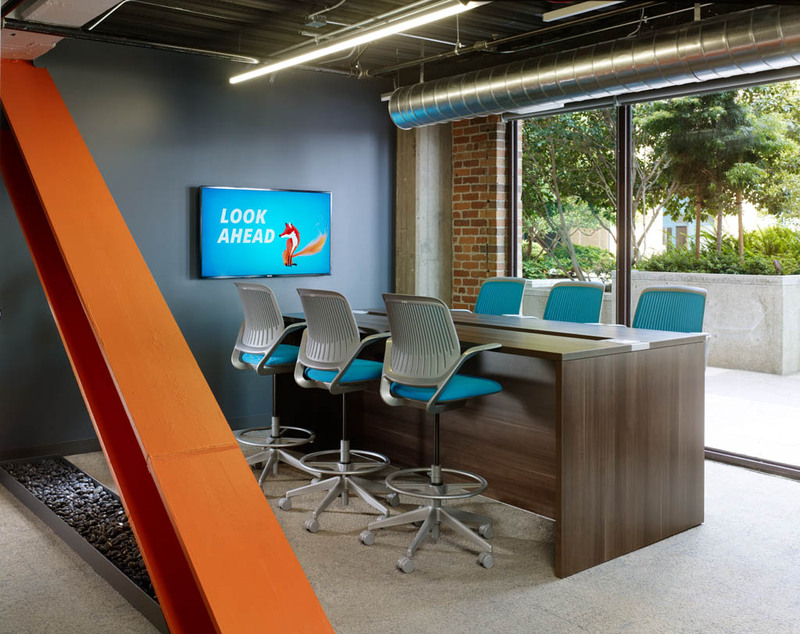 Snacks and comfortable seating are abundant and our flexible spaces lend themselves to a variety of activities including hackathons, design labs, brownbags, and industry talks each integral to our world class leadership in software development. 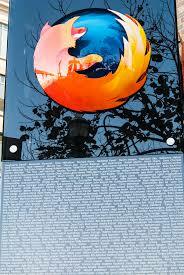 One shining example of Mozilla’s open source approach is our newly installed Mozilla Sign (Monument) at the corner of the Embarcadero and Harrison street. More than a sign, it represents our world community in both symbol and structure with its combination of glass (transparency) and steel (strength). Looking closer, you’ll find the etchings of nearly 5,000 contributor names (Mozillians) who help make us…well, “Mozilla”. Ultimately, we hope it serves as a beacon not just for the city of San Francisco but for the current and future participation of our worldwide open source community. 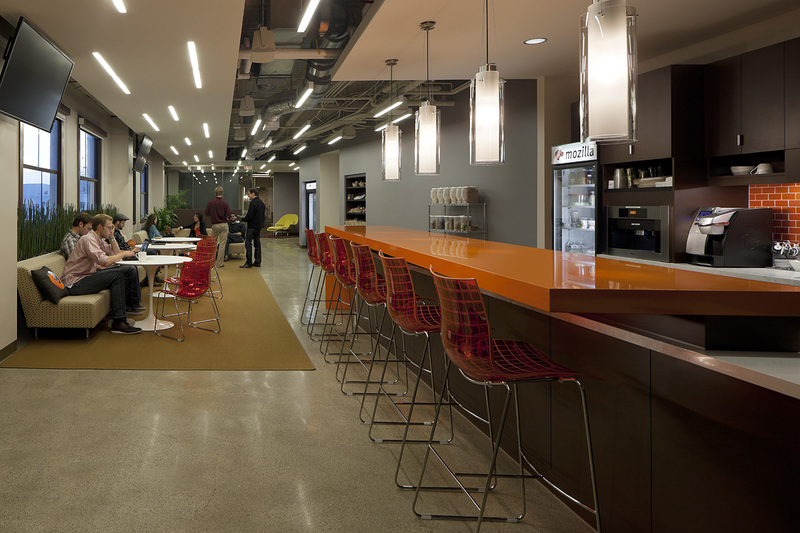 Inside the office, the company recognizes the evolving flexible working environment required by today’s knowledge workers. 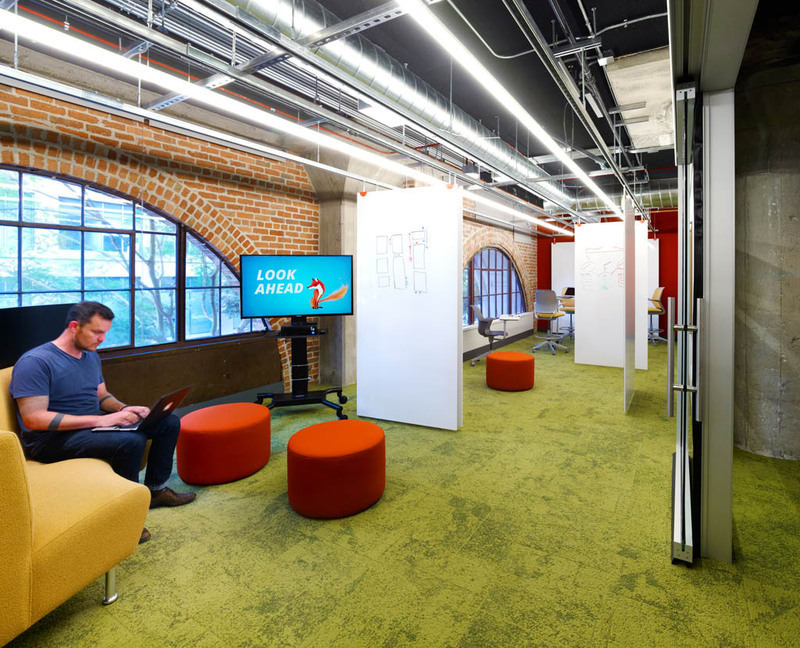 Collaboration zones are designed to connect flexible teams and their projects. 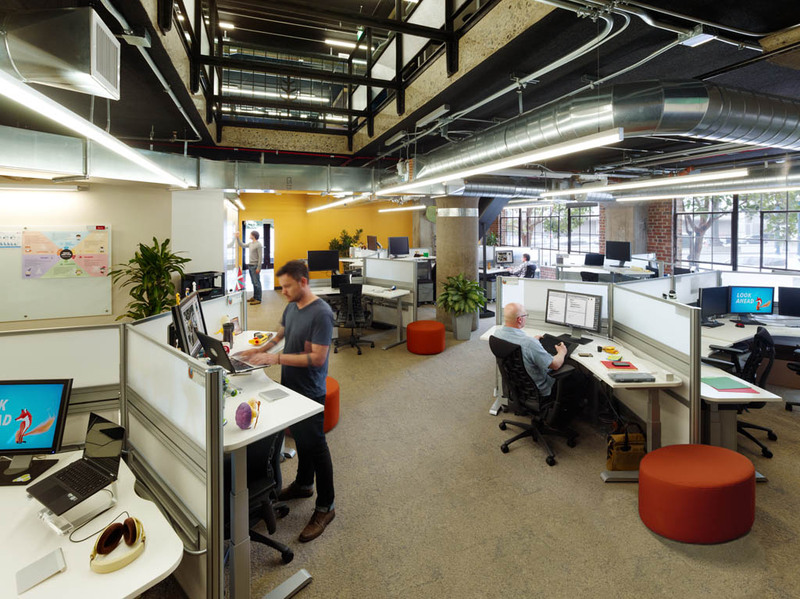 All desks are actually push-button, height-adjustable surfaces, allowing people to work at their own “height number”. There are no executive offices. 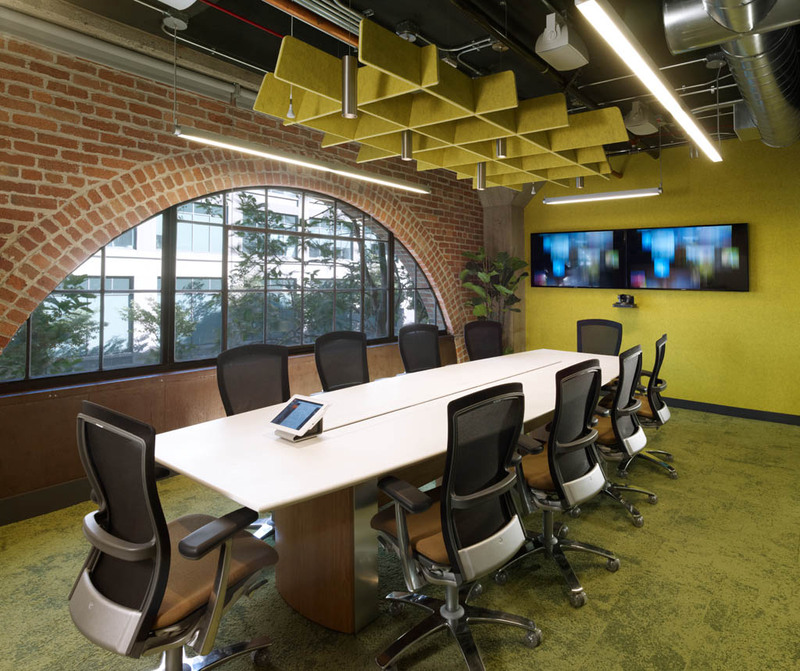 In their place, there are dozens of conference rooms each outfitted with whiteboards, presentation, and video conferencing capability. 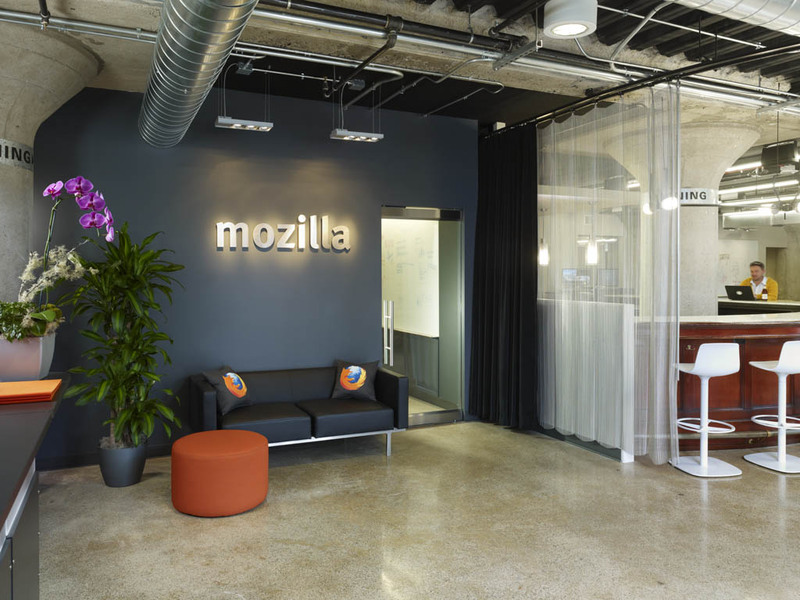 Our goal with these spaces is to connect our global Mozillian workforce whether they work from their homes or in one of the dozen Mozilla spaces located across four different continents. 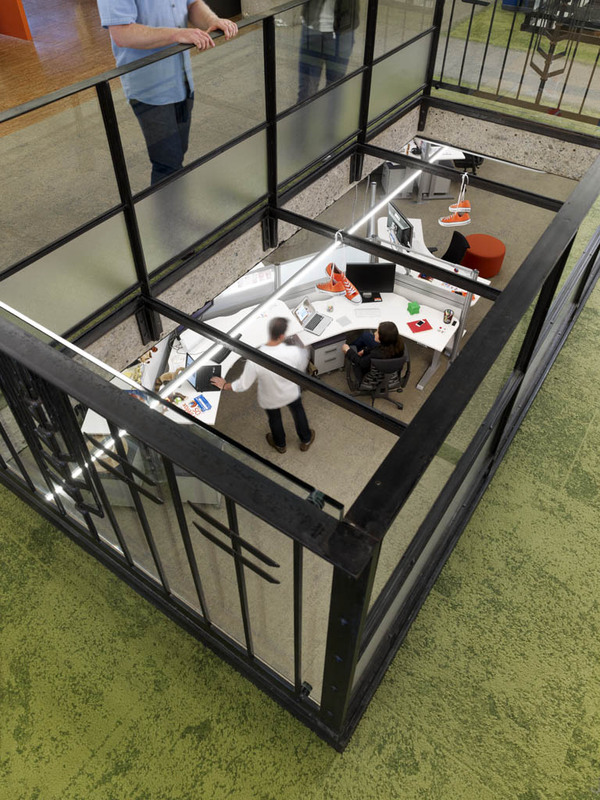 Amidst all this collaboration space, we maintain a focus of ensuring privacy (when desired) and noise reduction while maintaining the open office plan. Whether it’s our Buzzi-felt sound absorbing walls and ceilings or private phone booths, we aim to respect each individual’s preferences. 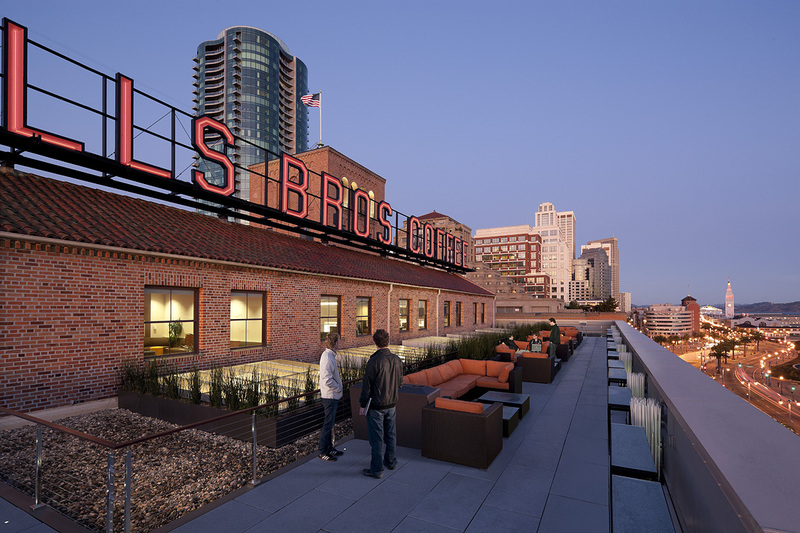 Perhaps the most stunning feature of our famed San Francisco office is our 7th floor roof deck nestled directly underneath the historic Hills Brothers sign with its famous nightly red neon glow. 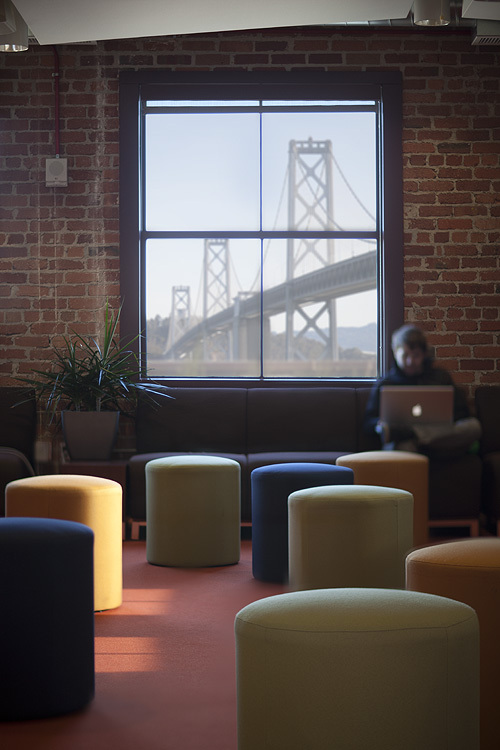 With sweeping views of the Ferry Building, the Oakland bay bridge, Alcatraz, and the Embarcadero walking paths, you’ll often find Mozillian’s camped out on the decks outdoor couches Wi-Fi’ing away in classic California outdoor working style. On other days and weekends, this deck provides the perfect hot spot for Blue Angels, Fireworks, or events like the Americas Cup. 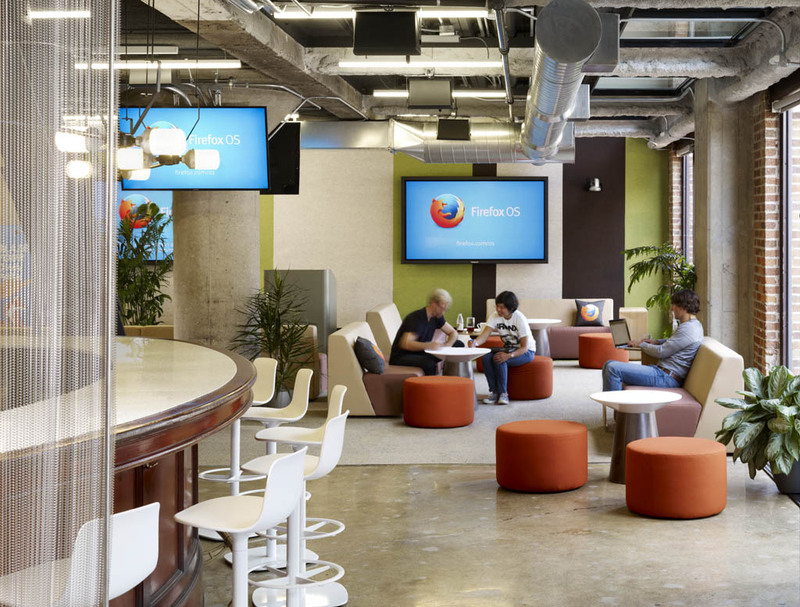 Mozilla’s offices are definitely on the short list of San Francisco’s must-visit office spaces. Code.Org – Public Service Announcement! Listen carefully to this video – It’s Easy! Addition/Subtraction – You don’t have to be a genius. How old is your child? Are they learning coding? When will you start learning? 1st Programs They Wrote? – Very easy ones…..
More Perspective and Perspective from Mozilla in this video. Coding, Scouting, and Camping compared….a powerful idea. You are currently browsing the Mozilla category at Cook's Connections.